Labradoodles are loyal , loving companions. They are so smart that there isn't much they won't try and learn if offered to them. They come in many sizes and colors and coat styles. I will try and answer commonly asked questions here for you. These are stats on my puppies that I have produced and will continue to produce. I can only speak for the pups that I have experience with. Q: What sizes are your Labradoodles? A: Our doodles come in two sizes. Our mini's are 14-16 inches and have run 18 - 30 lbs. Our Mediums are 17-19 inches and run 25-40 lbs. Q: What color coats do you produce? A: The colors we produce here are cream, apricot, caramel, red and black. We very rarely have chocolate. some reds and apricots will fade over time. Blacks can turn silver or even get a brown hue to them. Q: What does fleece, wool and hair mean? A: We very rarely produce a true wool coat. Our few wool coated dogs feel rough and coats are very curly and hard to maintain. Most of our pups are wavy, curly and tight curly fleece coats. The coat feels from soft and warm to cool and silky. We have a stud boy who's coat feels like human hair. It is very easy to manage and is wavy. Q: How hard are the coats to maintain? A: Some of the coats are fairly easy to keep up with and some require trims every 6 weeks. A thin hair or silky fleece coat is easier to manage then a wool or dry fleece coat. Q: Do you early spay and neuter? A: Absolutely. I feel after much research and communication with vets and other breeders that this is the best choice for my pups. The pups are up and about as soon as I get them home and recover extremely fast. 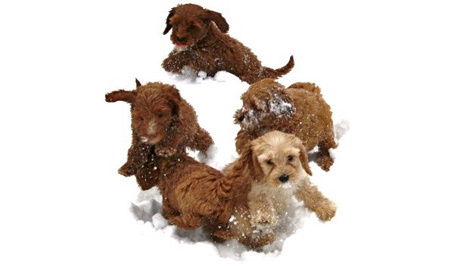 In 1989, the first litter of Labradoodles was bred by the GDAV in Australia. John Gosling, the manager for GDAV Guide Dog Services agreed to breed the first ever Labradoodle litter in answer to a request by Pat Blum of Hawaii, a vision impaired woman with a husband allergic to dogs. 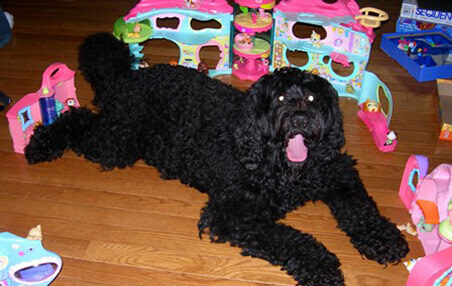 The breeding manager for GDAV, Wally Conron, planned a mating between Harley and Brandy, a Poodle and Labrador, and the first Labradoodle litter resulted in three puppies. Fur samples of the pups were sent to Pat as the pups matured, and one of the pups, Sultan, proved to be allergy friendly, as well as compatible for Pat as a guide dog. The combination of Sultan's coat, temperament and trainability made him a perfect guide dog companion for Pat, and an allergy friendly addition to her home. 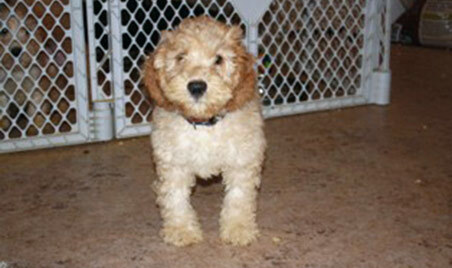 This was the beginning of the Labradoodle. The combination of the Labrador and the Poodle produced great puppies that were very smart and easy to train, which naturally led to people in the general public becoming interested in the breed as family pets. Then, in the late 1980's, Tegan Park and Rutland Manor, the two founders of the Australian Labradoodle began infusing several other breeds into early generations of their Lab/Poodle crosses, to improve temperament, coat, confirmation, and size. 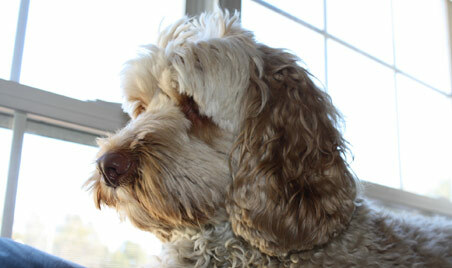 The infused breeds include Irish Water Spaniel as well as the American and English Cocker Spaniel. 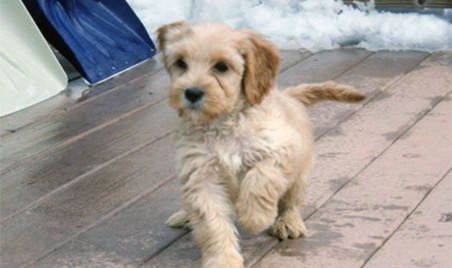 The resulting Labradoodles subsequently have been bred to each other, continuing the multi-generational tradition. Lots of Australian Labradoodles were sold to breeders here in the states. What has happened over time is that the market became saturated with the same Australian lines and we as American breeders needed unrelated bloodlines to continue with this wonderful breed. So you will see a lot of breeders adding in American Labradoodle lines and even multigen Cockerpoo lines. This is to prevent inbreeding/line breeding and doubling up a possible bad gene. You don’t want to see the same dog multiple times in your pup’s pedigree. I find the best pups I have bred and have seen are a combination of Australian and American lines. 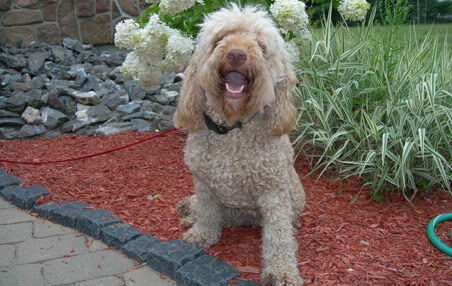 The Labradoodle is still a developing breed and should be bred with great care and consideration. 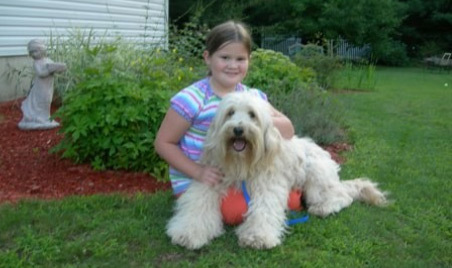 If bred correctly the Labradoodle is an amazing, smart, intuitive and wonderful addition for any family. We take great pride here at Southern Maine Labradoodles in breeding for the best temperament, health and allergy friendly coat we possibly can.